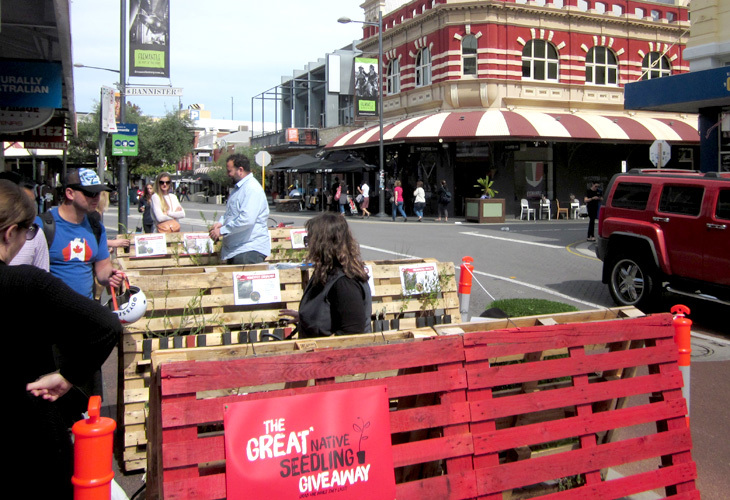 Ecoscape’s “Great Native Seedling Giveaway” for PARKing Day in the City of Fremantle 2015 was a huge success! 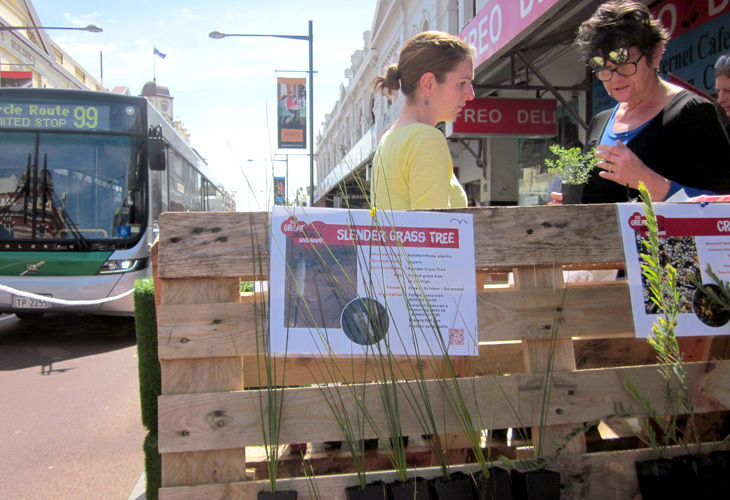 We gave away around 500 native seedlings, all sourced locally to eager passers-by on Market Street in Fremantle. 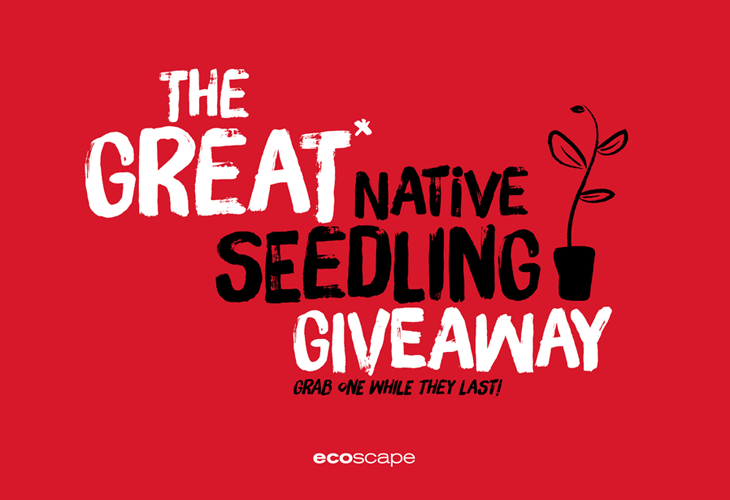 Bay Description: Ecoscape set up an outdoor native seedling “library” style giveaway, where passers-by could browse the shelves and pick up a few free seedlings native to Western Australia. Our flora experts were on hand to discuss the advantages of planting natives and any tips on planting and caring for them. 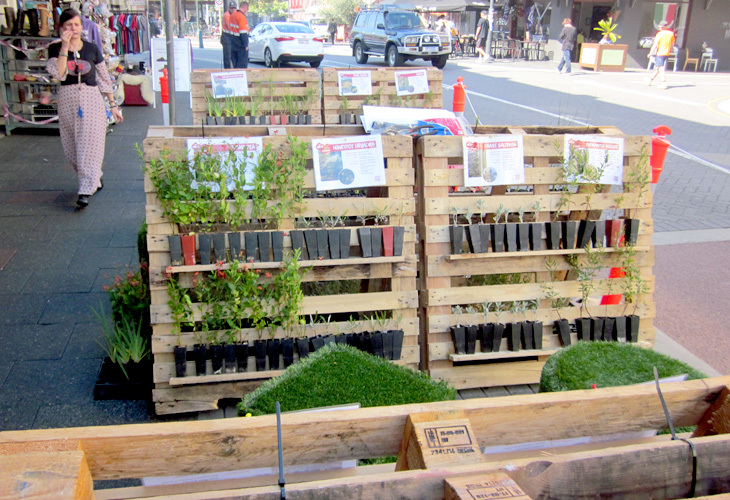 The idea was to promote the planting of native plants for two main reasons: 1. To reduce water consumption on gardens. 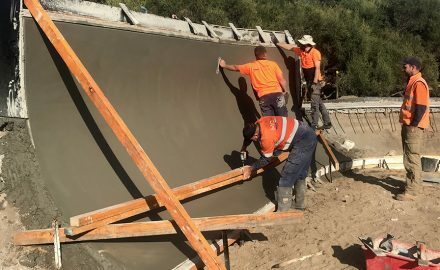 Western Australia is a fairly dry place with a general lack of water for human use. Natives reduce water use because they are hardy and don’t require much water to thrive being used to the local environment. 2. To reduce the use of fertilisers in gardens which eventually run into our waterways. Local natives are resilient and are comfortable in the typically dry, acidic and sandy soils of the local area thereby fertilisers are generally not necessary once the plants are established. The old way of thinking about man-made landscapes in Australia is the traditional English green garden ideal, with aesthetics based on typical English cottage gardens; green and leafy plants requiring a lot of water and rich soils, neither of which are typical to Western Australia. 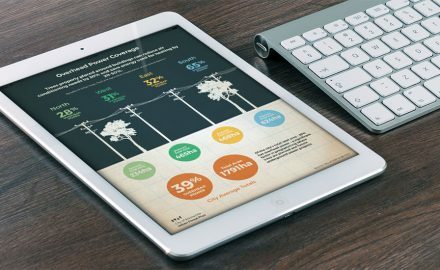 Ecoscape is dedicated to moving away from this old way of thinking and promoting the use of natives in landscape architecture. We want to show how gardens can be both aesthetically pleasing and sourced locally and thereby more sustainable. Western Australia has incredible biodiversity. 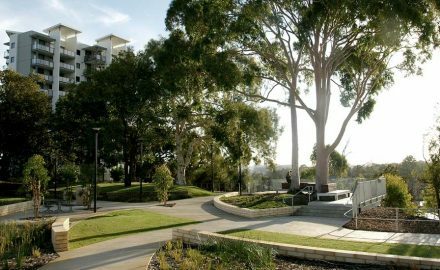 There are many plants with a uniquely Australian character that can add to the aesthetics of any local landscape. 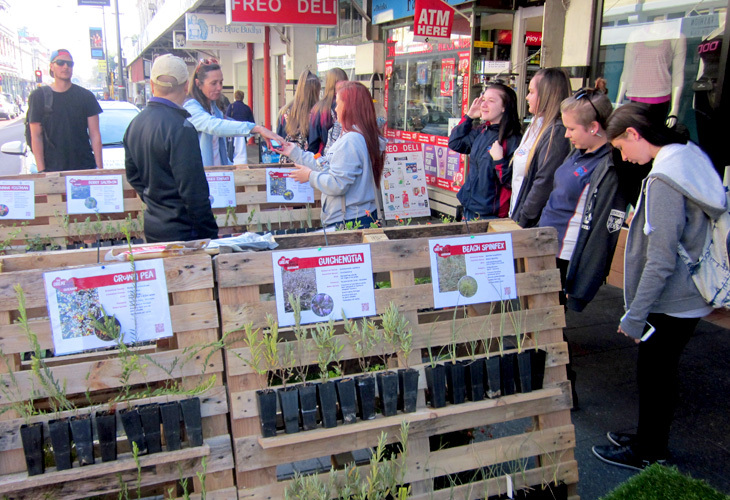 Overall, we gave away 500 native seedlings to eager locals ranging from Mangles Kangaroo Paw to Running Postman to the beautiful Flame Pea (also known as Eggs & Bacon!). 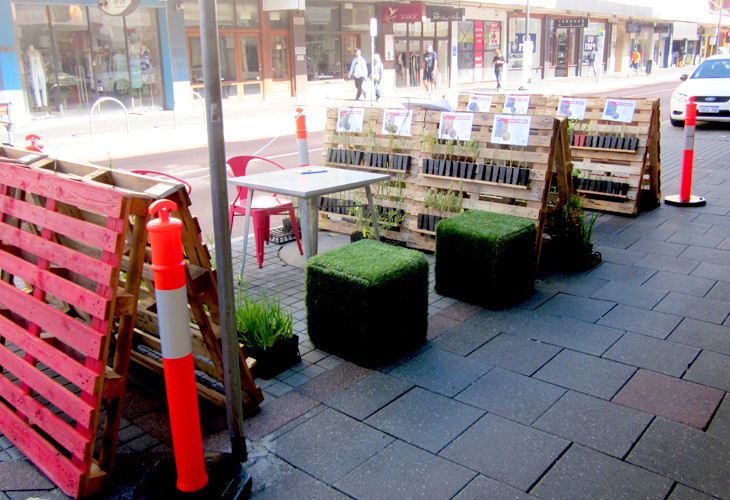 For more photos on Instagram about PARKing Day in Fremantle 2015, use #COFParkingday or global PARKing Day 2015 photos on Facebook here #parkingday.